Glassware will be PRODUCED in 1 week. ADD SHIP TIME FROM NY. 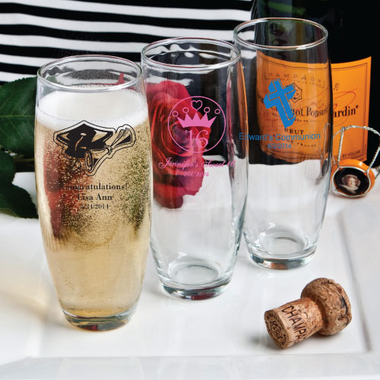 Decorate your Grad's celebration tables with these personalized glass bud vase favors. 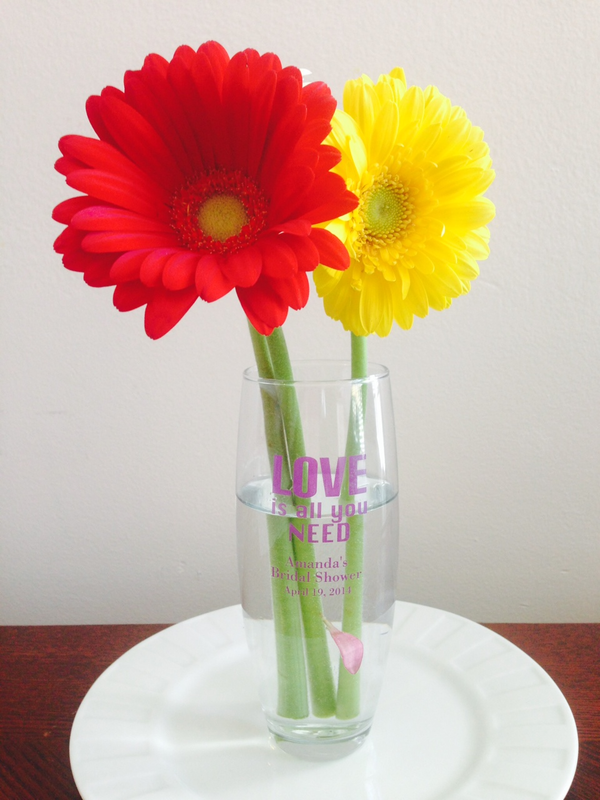 They are perfect for filling with a few flowers to add a colorful touch! A terrific gift for your guests to take one home at the end of your party. 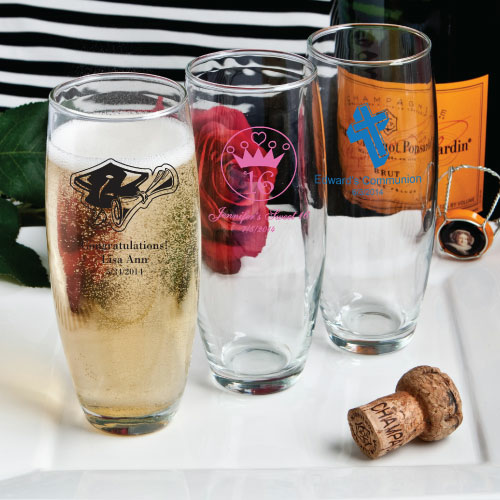 Each clear glass vase measures 5.5” tall x 2” wide and holds 9 ounces of water or the sparkling beverage of your choice. Design your vase with the name of the guest of honor or school. Vases come bulk packed.